My name is Kawther and I am a British Muslim originating from Iraq but raised in Leeds (Northern England). I have always loved art and design from a young age and in my late teens I started showing an interest in designing clothes. This gradually turned to more than an interest and hobby, as I recently graduated with a fashion design degree. I came across the Hijab Style blog whilst researching for my final year dissertation which was based on Islamic fashion. This changed all ideas I had of Islamic clothing which I always imagined it to be very dull and out dated! I recently set up a design and dressmaking service and I aspire to develop that into a successful fashion brand one day! I hope to introduce a variety of exciting new topics reflecting my creative flair and knowledge of the fashion industry. Of course I will also be on the lookout for modest fashion and exciting new brands to add to the existing archive of Hijab Style! Congrats on getting the position sis. Inshallah this site will turn out to be even more amazing. I too am hoping to get into the fashion business but from a different angle. Inshallah Ill be sending my stuff here for reviews here as well! Thanks ashi I hope that I can introduce interesting things! Hijab Style is one of the few blogs I visit often as I love all the posts, latest finds, and wearable modest looks, with your knowledge in fashion designing I am sure the readers of Hijab Style will benefit immensely iA so congratulations from my heart. I love the idea of you offering dressmaking service..if only you were from London. thank you for the lovely comment..
it is hard to find dressmaking services in the UK these days as the labour is expensive compared to retail prices. But I think it is worth it to get a tailored made garment to your requirements. Congratulations on your new post as an Assistant Editor. 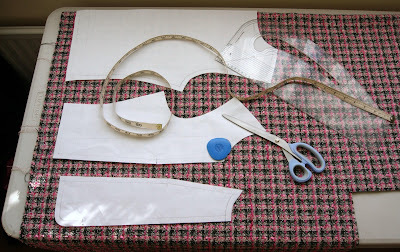 Care to share your dressmaking service in Leeds. As I''m from Leeds and has been looking around for a up-to-date dressmaker especially cater for hijabis/muslimah. I wish you all the best in your future insyAllah.